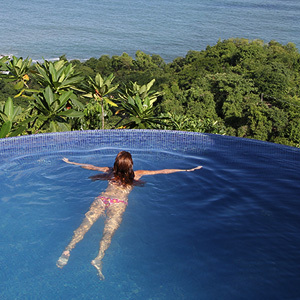 Anamayaresort.com – Luxury Costa Rica Yoga Retreat Center in Montezuma. Organic food, wellness, detox. Eyeoftheblackbird.com – The world’s best yoga retreats, yoga teacher training, and other special retreats. 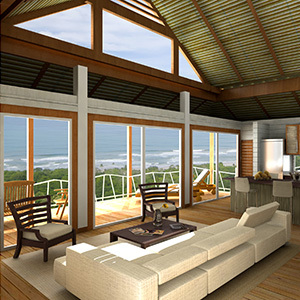 Moana Lodge – Luxury hotel and restaurant in Malpais, Costa Rica, with the best views in the Santa Teresa / Malpais area. Montezuma Hostel – Luz en el Cielo, Montezuma’s newest and best hostel. http://www.malpaisbeach.com/malpais-and-santa-teresa-hotels/ – Hotel details and recommendations for the Santa Teresa/Malpais area. 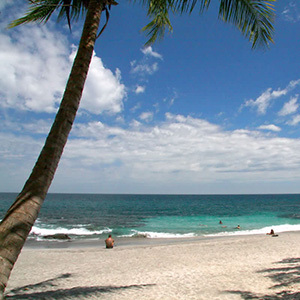 Travelincostarica.net – Travel in Costa Rica. Hotels, yoga retreats, surfing, and much more. 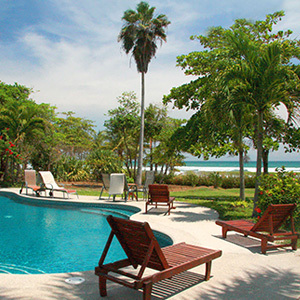 Casa Oceano Luxurious Beachfront Villa A perfect six bedroom oceanfront home for family reunions, couples traveling together, or as a wedding destination, just a short distance from Tambor. Relax with the flow through ocean breezes or you can air condition the whole villa. A stunning infinity pool invites you to have your favorite cocktail while watching the surf break on the beach. Tango Mar Beach Resort and Luxury Hotel Within a 125 acre private reserve, the most discriminating traveler will find four swimming pools, a beachfront hotel, tiki suites, tennis courts, horseback riding and a gourmet restaurant. http://www.malpaisbeach.com/santa-teresa-surf-guide/ – Santa Teresa Surfing and Surf guide for the Malpais/Santa Teresa area of Costa Rica. 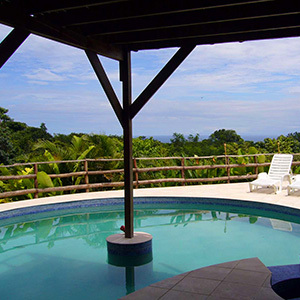 Costa Rica Vacation Packages by Sustainable Tourism Travel Agency Costa Rican Trails inbound travel agency has a 5 leaves rating by the ICT, the highest ratings possible, and stresses sustainable vacation tourism packages. Co-owner, Wilhelm von Breymann, has recently been appointed as the new Minister of Tourism and intends to stress the sustainable tourism message in attracting visitors to Costa Rica.